Safety first! A list of the safety gear I take with me or use plus other good stuff I carry with me. .
Waders and belt plus pfd is NOT enough for Alaska! Read an article I wrote for Kayak Fishing Magazine for why I think that's true. Click here for the article. My terminal tackle tips: Leaders, Hooks, Lures, Flashers, Bait & More. I've ordered from Austin Canoe & Kayak and they have some great customer service. 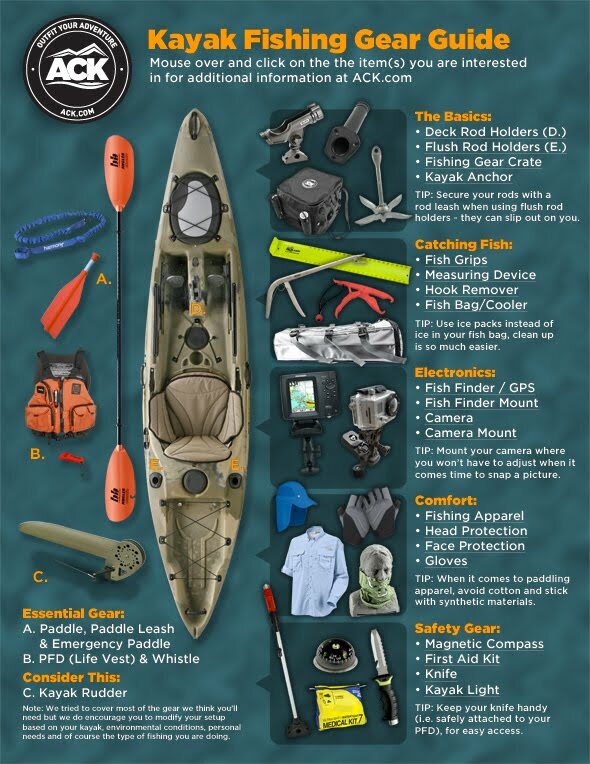 Here's a general "Kayak Gear" guide that you might find useful!